Deoghar is a Hindi word and the literal meaning of ‘Deoghar’ is abode (‘ghar’) of the Gods and Goddesses (‘dev’). Deoghar is also known as “Baidyanath Dham”, “Baba Dham”, “B. Deoghar”. The origin of Baidyanathdham is lost in antiquity. 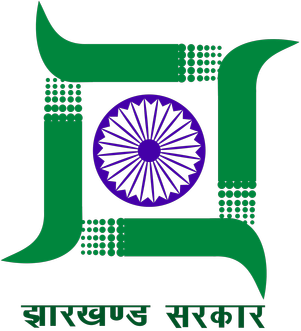 It has been referred to as Haritakivan or Ketakivan in Sanskrit Texts. The name Deoghar seems to be of recent origin and probably dates from the erection of the great temple of Lord Baidyanath. Although the name of the builder of the temple is not traceable, certain parts of the front portion of the temple are said to have been built by Puran Mal, an ancestor of the Maharaja of Giddhour, in 1596.Deoghar district is one of the twenty-four districts of Jharkhand state in eastern India, and Deoghar town is the administrative headquarters of this district. This district is known for the Baidyanath Jyotirlinga shrine. This district is part of Santhal Pargana division.Deoghar district is located in the western portion of Santhal paraganas. It is bounded by Bhagalpur district in north, Dumka in south-east and Giridih in west. Deoghar is a famous health resort and a major Hindu pilgrimage center. 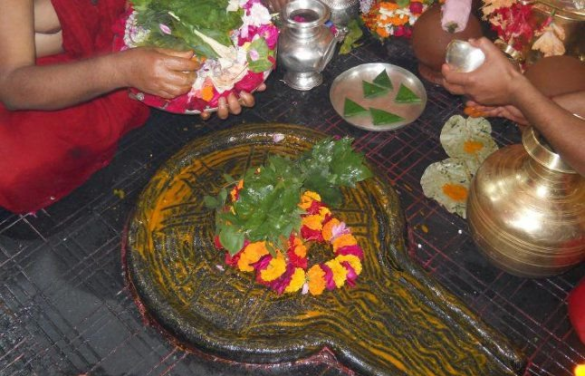 Baidyanath Temple in Deoghar holds one of the twelve ‘Shiva Jyothirlingams’ and is also one of the 51 saktipeeths in India. The ‘Purans’ refer to this temple as fit place for funeral obsequies. It is also famous for the mela of Shrawan (5th month according to the Hindu calendar system). It is the only place in India where the jyotirlinga and the saktipeeth are together. They lay side by side. Each year between July and August(On the eve of shravan month) about 7 to 8 million devotees come from various part of India to offer holy water from the Ganges at Sultangunj—almost 108 km from Deoghar—to present it to Shiva. Baidyanath Dham is one of the most secret destinations in Indian tourism. Many parts are untouched till recently. There are ruins of many Buddhist monasteries around. Deoghar has a picturesque location. Deoghar is located at 24°29’N 86°42’E / 24.48°N 86.7°E. The nearest railway station is Baidyanathdham. Jasidih junction is about 7 km from Baidyanathdham railway station, which is on the main line of Howrah-Delhi route of Indian railway. It is about 229 km from Patna (capital of Bihar) and 322 km from Ranchi (capital of Jharkhand) and about 315 km from Kolkata (capital of West Bengal). Deoghar has an average elevation of 254 metres (833 feet). The climate of Deoghar is dry and congenial and Deoghar is still considered a health resort in spite of the great congestion particularly due to the temple of Vaidyanath (also spelled Baidyanath), as well as having the criminal and civil courts and a large number of Government establishments. Deoghar had a population of 14,91,879 as per census 2011. Males constitute 55% of the population and females 45%. Deoghar has an average literacy rate of 76%, higher than the national average of 59.5%: male literacy is 82% and, female literacy is 69%. In Deoghar, 12% of the population is under 6 years of age. The most important seasonal fairs held at Deoghar are on the occasion of Shivratri, Shravana Sombari and Shri Panchami. Among other important fairs and meals are-Gopastmi mela, Dussehra mela, Makar Sankranti mela, Newan mela and Durga Puja. Deoghar district is spread over an area of 2479 sq km (2,45,156 Hectare). The landscape of Deoghar is high, low, hilly and damp. 28% of the land is very fertile and cultivable. Cultivation in and around Deoghar is primarily rain-fed. The crop harvest is generally quite good.